My pick for best dressed of the night. You know it's a good awards show when there's plenty of time left over and the winners of the last award of the night, Best Cast in a Movie, has to fill up time by each talking on the mic. Before we check out the red carpet, I want to give out a big 'YAY!' to Uzo Aduba, William H. Macy, Orange is the New Black, Kevin Spacey, and Viola Davis for winning an Actor. That's right, I learned tonight that instead of an 'award', SAG calls the trophy an 'Actor'. Too cute. 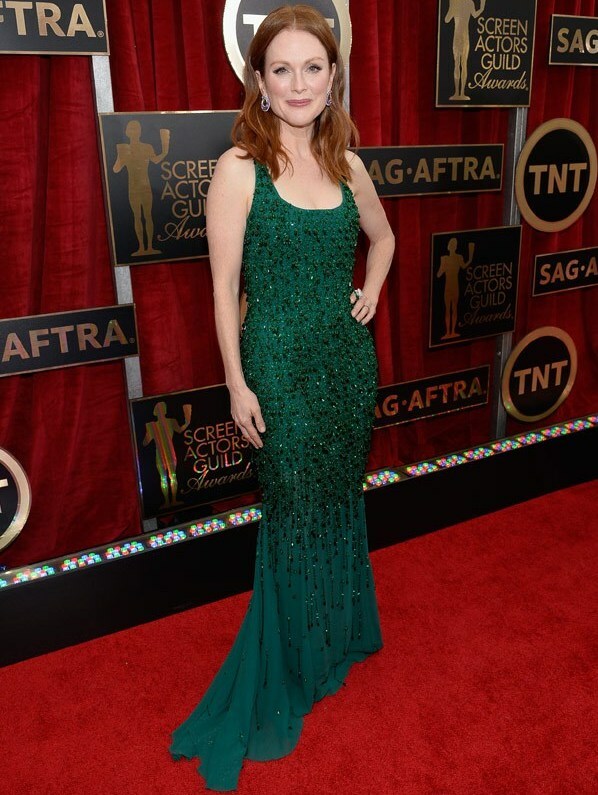 Red hair + green dress is a bit predictable but it's a tried and true combo that (almost) always work. I'm really diggin' this. From head to toe, this look is styled perfectly. Gorgeous couple of the night. This pairing is so not fair. Though I like the color, not liking the dress as a whole. She's on here because I wanted to shine a light on my fellow Nigerian-American. 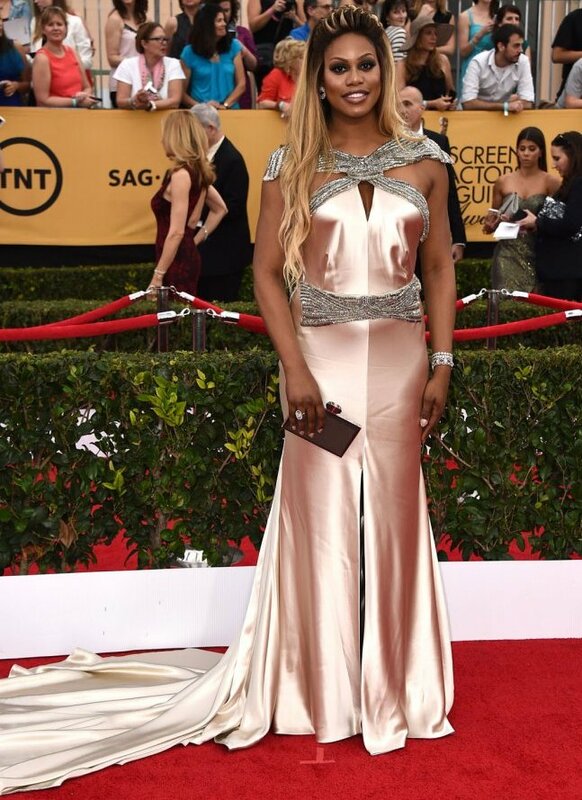 A beautiful woman in a very awkward dress. Also, a smidgen too tight in the bodice. Okay, I have some words. 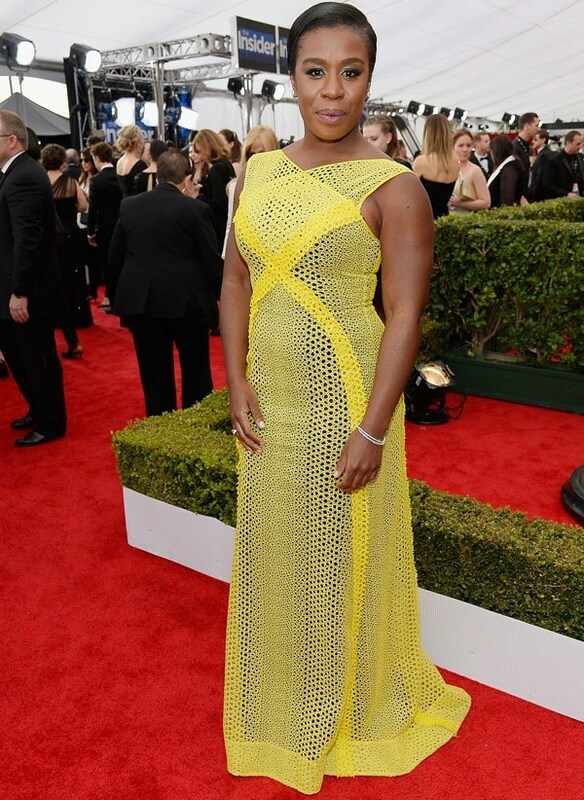 This dress is all kinds of wrong and is doing no favors for her body. I mean, look at the bodice. Look at it!